The Peterbilt Powered Glider below was powered by Kustom. 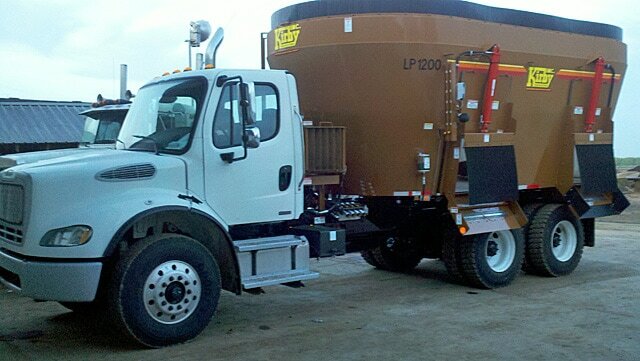 If you would like to learn more or have a custom Peterbilt or Kenworth power glider call us today. 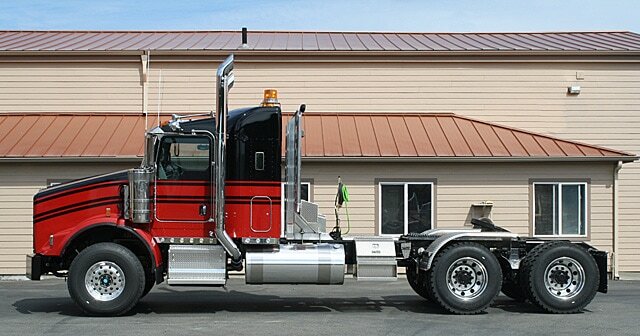 Kustom Truck has been building gliders since 1999. We have the experience you want and need to ensure a quality job. We are even able to provide technical support for the do-it-yourselfer. 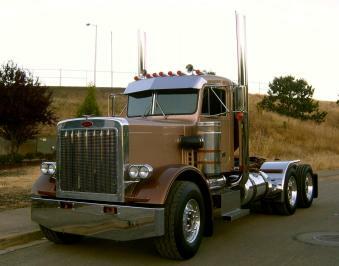 Kustom Peterbilt Powered Glider Kit Kustom Truck is your supplier of choice for Peterbilt Powered Glider Kits. 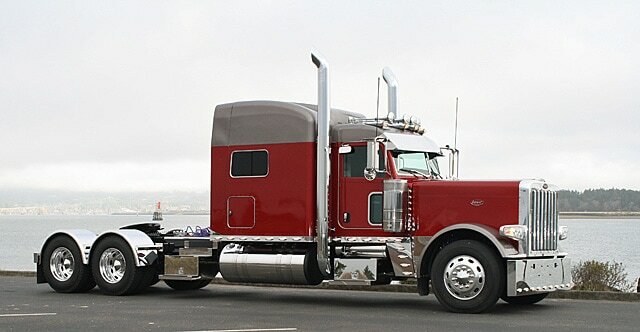 Kustom Truck offers Peterbilt and Kenworth powered Glider Kits with your choice of a new factory remanufactured Caterpillar Engine, Cummins Engine or Detroit Engine. All engines are fully trimmed with a new starter, alternator, fan hub, engine fan, power steering pump, AC pump, clutch and pilot bearing. After trim out, the engine is installed into the Peterbilt or Kenworth Glider Kit with new piping kits, fuel filtration and supply kit, exhaust and piping kit, ECM set up and all fluids. The Kustom Truck Powered Peterbilt and Kenworth Glider Kit will come prestarted, all data links and all electronics set up is complete. The Peterbilt and Kenworth Powered Glider Kits are ready for you, your shop or your service department of choice to do the final manufacture with the install of the transmission and rear axles. 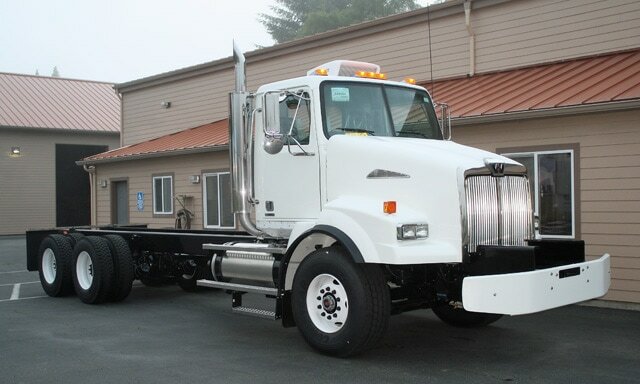 Kustom Truck Peterbilt or Kenworth powered glider packages come with OEM factory warranty through any authorized dealer in North America registered in the purchasers name. 5.) All Plumbing and electrical interface of the Transmission and Differentials and suspension to complete the final manufacture. 2.) 3 year /300,000 ESC plus that can be upgraded anytime within the first year in service to 5 year / 500,000 for the additional cost to the customer.